I love the nutty flavor that wheat berries have. If you haven’t tried them yet, you really should. They are delicious! 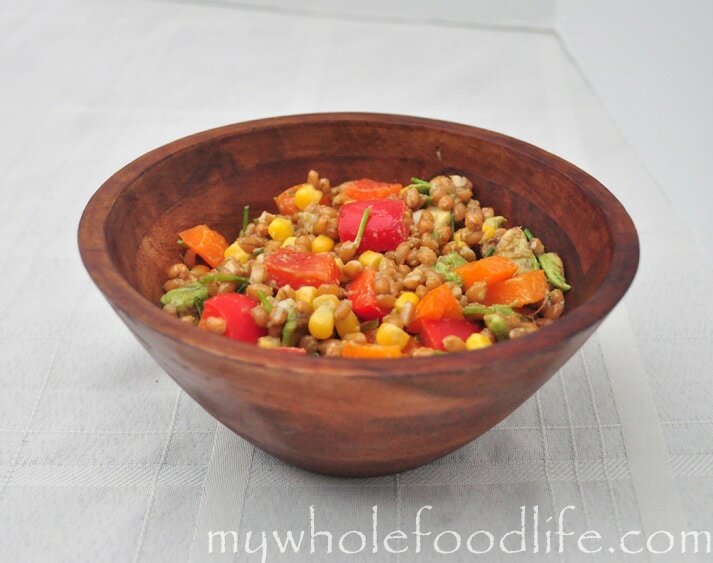 I also have a Wheat Berry Salad With Cranberries on the blog. Since it’s summertime, I am still on my cold salad kick. My husband and I came up with this meal from scraps we had in the fridge. It turned out to be really good! We used some of our organic and non GMO corn we had stashed in the freezer. Sometimes when you clean out the fridge, you get the best meals. This came out so good, we made a second batch the following day. 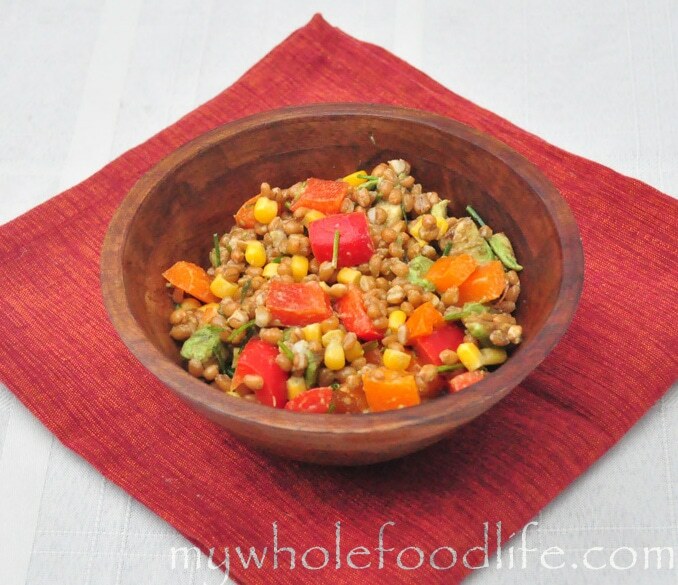 If you have a gluten allergy, you can replace the wheat berries with quinoa and this will be equally delicious! Throw all the ingredients in a bowl and mix well. To make this even better, let it sit in the fridge for a few hours so the flavors can develop further. It’s even better the next day! This made 4-5 servings. Enjoy! Great idea! We are loving cold salads as well ... It's just been too hot these last several days for a big meal, but I still need to provide my family with a nutritious and well-balanced dinner. Looks like we may have this for dinner soon! Thank you!! You are very welcome Gretchen! I hope you enjoy it. You can omit it and maybe add some spinach in? They are awesome! I bet you can cook them in the rice cooker. I never thought to do that, but I am going to try next time!